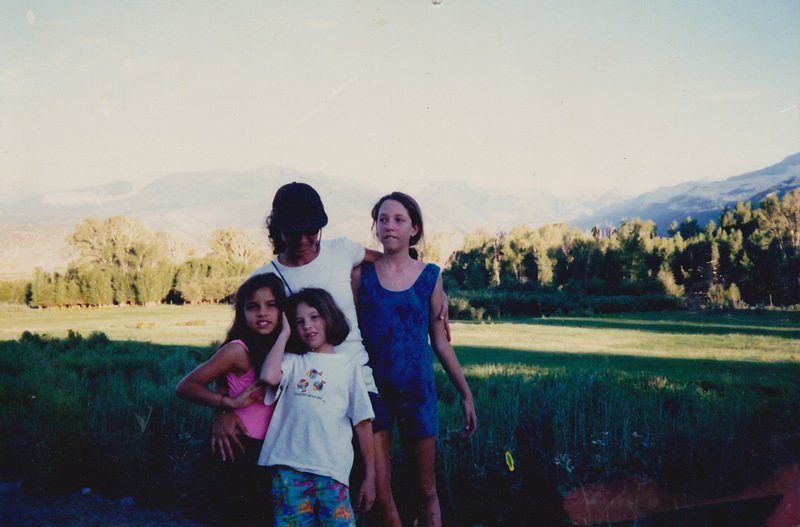 This post goes way back in time… the time when I was a little bean in my mom’s belly. July 1988, it must have been a cool Winter day. I picture my mom with a great round belly and her great luminous smile. Perhaps she spent the day at home, cherishing her temple and the simple pleasure of being home. I imagine my sister, Ana, in her toddler days, a blue-eyed blondie that could get around with just about anything for her cuteness prevailed. Ana probably dove into my mom’s bed (that’s if she wasn’t already there) and gave her a million kisses and happy birthdays before 9am on that July 26th. At the moment, I might have actually known what the day was like… from my mother’s womb perhaps I knew there was a celebration, perhaps I knew my birthday too was drawing closer, and likely, I knew my sister’s voice, the sound of kisses, and the taste of chocolate cake. Two days later, there was I. Born at 9:00 in the morning. A new bundle of life. I believe that even the earliest moments of our lives linger with us and in us. The abundance of care, devotion, respect, and warm love, are an intrinsic part of me. I think of my mom as a fountain with a constant flow of energy. This energy stays positive no matter what comes her way. It translates into happiness and courage. It divides easily three ways, so we all feel the desired attention. She brought my sisters and I into this world, three distinct souls that converge in the essential ways we face life, laugh, and play. And these are essentially my mother’s ways. I reflect on these things as I watch Georgia’s expressions trying to imitate mine. I watch her mouth trying to follow the exaggerated movements of mine. And fall deeper in love every time she blinks slowly and smiles – to start all over again. I believe this “game” of imitation has great influence on us. The gestures we develop. The attitudes we take. To respect ourselves and others. To speak our opinion. To laugh. To help. To hug. To be hugged. To trust. To stand back up after being hurt. To bake incredible brownies. To celebrate. To be loyal to our family and friends. To fold clothes and care for our home. To be cautious. To dream high. To cry in both happiness and sadness. To have courage. And foremost, to bear fruits that will nurture the grounds of our own tree of life. 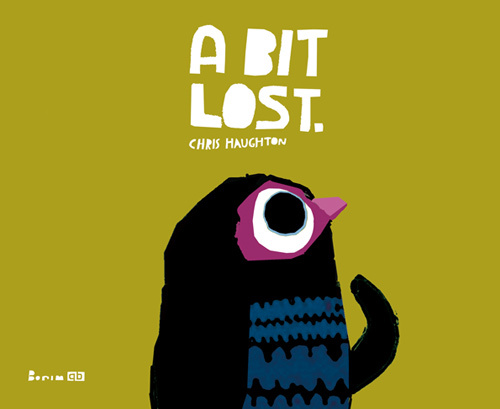 Finally, here’s one of my mom’s book choices for Georgia: A Bit Lost, by the Irish illustrator and designer Chris Haughton. 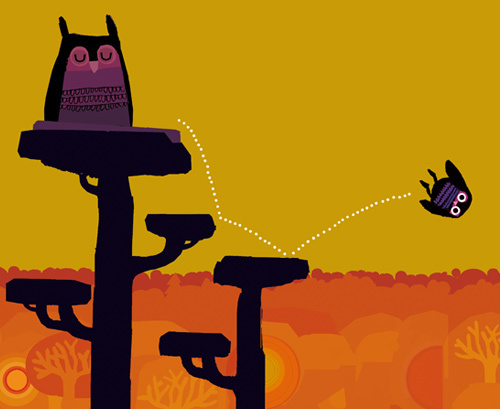 The illustrations are beautifully crafted by hand and digital means. The characters really stand out with full emotions and expressions, while the forest is playfully designed in contrasts of blue, pink, red, and green. It is definitely worth a glimpse on the post by the author on A Bit Lost: the making of. And I confess: I fell A Bit Lost every time I loose my mom of sight. I still do, and always will.